On August 23, 2012, the U.S. District Court found in a 130-page opinion that TVA was negligent in its handling of coal ash at the TVA Kingston Fossil Plant going all the way back to its construction of the original coal ash dike. This follows a three-week trial in September and October 2011. TVA will finally be held accountable for the damage it has done to hundreds of property owners on the Emory River and Watts Bar Lake. The next phase of the trial will decide whether individual plaintiffs have been damaged and the extent of their damages. Davis & Whitlock represents hundreds of property owners and had a major role in the trial leading to the Court’s landmark ruling. 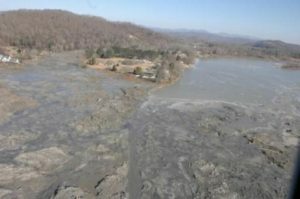 Link to news article:http://www.knoxnews.com/news/2012/aug/23/federal-judge-rules-tva-liable-coal-ash-spill/. On December 22, 2008, the Tennessee Valley Authority’s Kingston Fossil Plant suddenly released over 1 billion gallons of toxic coal ash sludge from a failed coal ash impoundment into the Emory River creating a sludge tsunami that destroyed waterfront homes and affected properties miles away. Over a year later, despite a massive cleanup effort, coal ash still remains in parts of the Emory River and Watts Bar Lake. Davis & Whitlock filed suit on behalf of property owners and others impacted by the TVA Coal Ash Disaster on January 9, 2009, together with the Beasley Allen firm from Montgomery, Alabama (see www.coal-ash-spill.com/). In April 2009 TVA filed a motion with the Court claiming that it is immune from suit as a federal agency. On March 26, 2010, after months of depositions, review of hundreds of thousands of pages of TVA documents, and a major effort by plaintiffs’ law firms, the U.S. District Court for the Eastern District of Tennessee ruled that TVA is not immune from suit and that the lawsuits can proceed. If you have property that you believe has been impacted by the TVA Coal Ash Disaster, you still have the right to seek property damages as part of our lawsuit. The statute of limitations for property damages is three years from the time the damage occurred, at the earliest. Davis & Whitlock will investigate your damages and pursue claims on your behalf, if warranted. We will meet with you at our office in Kingston, Tennessee, or at your property and perform any necessary sampling and analysis of your soil and water. For more information, call us on our Kingston number, (865) 376-6769, our Asheville, NC, number, (828) 622-0044, or contact us via the Case Evaluation Form on this website. Davis & Whitlock, P.C. is excited to announce that, effective June 17, 2013, we will moving our primary office from Hot Springs, North Carolina, to Asheville, North Carolina. We are confident that this move will allow us to better serve our current clients, as well as future clients. We hope to see you at our new location in the near future! Please note that our telephone number, web address, and email addresses will remain the same at our new location. Also, all contact information for our Kingston, Tennessee office will remain unchanged. 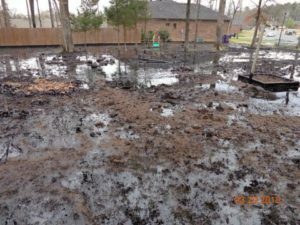 On Friday, March 29, 2013, ExxonMobil’s Pegasus pipeline, which transports heavy tar sands crude oil from Canada throughout the United States, failed in the middle of a residential subdivsion in Mayflower, Arkansas, resulting in the release of thousands of barrels of heavy crude into the subdivion’s streets, residents’ yards, storm sewers, and Lake Conway, a 6,700 acre lake connected to several creeks and used for recreational fishing. Approximately 22 homes in the subdivision have been evacuated, and displaced residents do not know when they will be able to return to their homes. Wildlife has also been adversely affected, including multiple dead animals, and the full extent of this toxic contamination is not yet known. Making things even more difficult for affected individuals is that ExxonMobil is attempting to control all information being released about this disaster, resulting in conflicting reports for affected residents about their health and safety. Davis & Whitlock, P.C., has been associated by a local Arkansas law firm and is accepting clients who have been impacted by this disaster. For more information, please call (828) 622-0044, or use the Case Evaluation Form on this website. Davis & Whitlock is a small firm that prosecutes big cases. We represent and litigate on behalf of victims of environmental disasters, individuals damaged by pollution, environmental organizations, community groups, state and local governments, and other diverse clients throughout the southeast and beyond in order to ensure that environmental laws are enforced and our clients receive compensation from the polluters who have caused them damage. We strive, through the representation of our clients, to see that our natural environment is protected from the devastating effects of pollution so that future generations can enjoy a healthy, natural world. This website has been developed by Davis & Whitlock, P.C. to provide general information about our firm and is not intended to be a source of legal advice. No attorney-client relationship is created between Davis & Whitlock, P.C. and any user or browser of this site. You should consult an attorney for advice regarding your individual situation.